How can financial services companies attract the best talent to support their increasingly technology-centric strategies? It is one of the key questions facing leadership teams at banks and insurance carriers in 2018, at a time when many are transforming the shape of their workforce in order to ensure lasting relevance in the digital era. A great example is National Australia Bank, which announced at the end of last year that it would look to hire 2,000 people in areas such as data analysis, AI, robotics and advanced automation. Similarly, Canada’s TD Bank is trying to add 1,000 technologists to its ranks, and UBS is among the growing number of institutions looking to recruit more AI experts to support a new cognitive approach to customer engagement. However, recruiting and retaining the best skills to harness the potential of is becoming increasingly tough in the face of growing competition from other industries. Research by The Economist found that while finance remains the most popular destination for graduates of the leading US business schools, it looks set to be overtaken by the technology sector in the very near future. One factor here is of course that many financial services companies are cutting rather than adding new roles in administrative back- and middle-office functions as a result of increased automation. But another is that many are struggling to provide the workplace environment, career paths or workstyles that appeal to millennial workers. PAC recently partnered with Fujitsu to interview more than 300 senior decision-makers at financial services organizations in Europe, ANZ and the US to understand the current challenges they face in delivering a truly compelling and productive workplace strategy. Only 20% of participants stated that their current workplace IT infrastructure has a highly positive impact on their ability to attract and retain new talent, which was the lowest rating from the five industry sectors that we covered in the wider study (financial services, manufacturing, retail, government and utilities). Interestingly, workforce attrition is also viewed as a greater challenge by financial services firms than those from other sectors, with 84% citing it as a barrier to productivity. 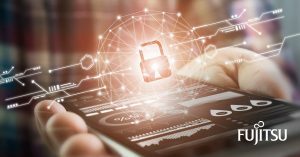 Several issues were highlighted by the study, not least of which was that today’s overly complex and intrusive approach to cyber security is viewed by the majority of financial services organizations as slowing employees down from doing their job. Other sticking points included inflexible working practices and a lack of interoperability with ageing technology – a real problem for many banks and insurers that continue to depend on decades-old software to support critical processes. So how are these problems being addressed? Encouragingly, the study found that financial services companies are being more active in making big, important changes to their current workplace approach. Two-thirds of participants are changing current policies to create an improved work/life balance for employees, which will be critical to appealing to millennial workers who view this as more important than career progression when evaluating job opportunities. Indeed, banks are among the most creative organizations in this area. Global giant Citi offers new investment banking analyst recruits the opportunity to defer their job for a year in order to work for non-profit employer such as a charity, while paying 60% of their proposed starting salary. Meanwhile, 59% of participants in the study plan to allow employees to work more flexibly by providing them with secure access to corporate systems and data. Almost one third (32%) also plan to allow employees to use whichever device they wish for work purposes, which was the highest level across any vertical market. 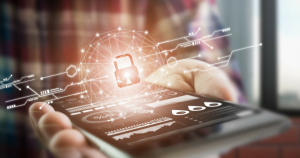 This will pose new challenges in terms of security, and while this most heavily regulated of sectors will not look to soften its approach to the increasingly complex cyber threat, the vast majority of organizations are looking to channel their investment in a new direction. The study found that financial services firms are leading the way in the adoption of biometric and single sign-on technology as they aim to implement a more seamless approach to authentication. The current workplace approach at most financial services companies is already falling short and urgently needs addressing if they are going to attract the fresh blood that they need to support their digital strategy. Banks, in particular, tend to have deeper pockets than organizations in many other sectors, and as you’d expect, they are aggressive in their plans to invest in areas such as digital virtual assistants and social enterprise platforms in order to create a more compelling workplace environment. But they also face some particular challenges in moving away from cumbersome but highly important legacy technology, and in ensuring that investment in areas such as AI meets stringent regulatory requirements relating to data privacy and usage. 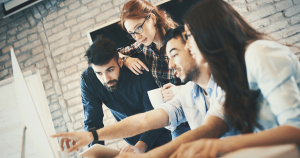 And while many financial institutions are looking to build in-house teams to drive this change, they also acknowledge the need to lean on external experts to support their journey, notably in areas such as defining a more effective cyber strategy and in gaining better insight into current workplace productivity. Join us for our live Financial Services webinar on March 07th at 10.00 GMT / 11.00 CET to find out how to future-proof your workplace. Click here for the full results of the study, and recommendations on how to get your workplace future-ready. Katharina Dalka is group lead for the Banking/Fintech vertical expertise and is a specialist for blockchain. Furthermore, she leads the M&A practice and intervenes on a group level as a project manager for strategic consulting projects. Her geographical focus includes France, Germany and the UK. Previous articleGive people flexibility, or lose them. It’s that simple.